You must make reservations at least 5 minutes in advance of the time at Scossa. The Scossa Lounge can accommodate both intimate small events as well larger functions up to 85 people. Our Lounge can be set up in various configurations to facilitate the objectives of your banquet and we can assist in providing a full range of business services, equipment and floral arrangements to make your event complete. Encounter the delectable food and wine of Scossa Restaurant & Lounge where you will savour the classic Northern Italian cuisine created by Chef Giancarlo Tondin. With an emphasis on quality, only the freshest ingredients are selected to create cuisine that reinvigorates traditional Italian recipes. Experience the sophisticated chic décor and lively ambiance of the Scossa dinning room, bar and lounge or dine alfresco at the Scossa Café and enjoy the picturesque charm of Easton’s historic town center. Lunch was delish, especially the chicken salad!! Service was very attentive too! As usual, all of our food tasted great. I had salmon and my wife had shrimp curry. I did notice that the caesar salad portion was much smaller than usual, but did not mention it to the server as I was through with it by the time she stopped at our table. April provided excellent service. Restaurant week menu, we had the fried octopus, veal scaloppini and tiramisu, all delish!!! 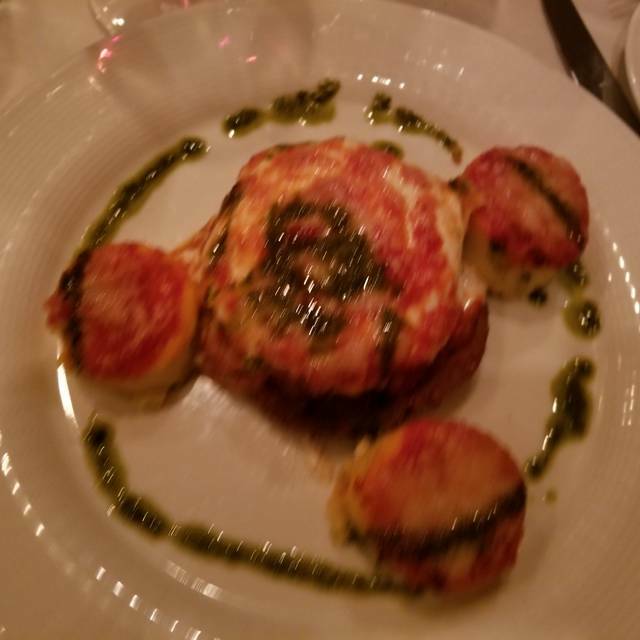 Each time we visit St. Michael’s we try to have dinner at Scossa—definitely one of our favorites This time we were seated in the lounge after being contacted by the staff to confirm our reservation earlier in the day. Although the room is in the back, the space provides seating for larger groups to have privacy and a unique quiet experience. 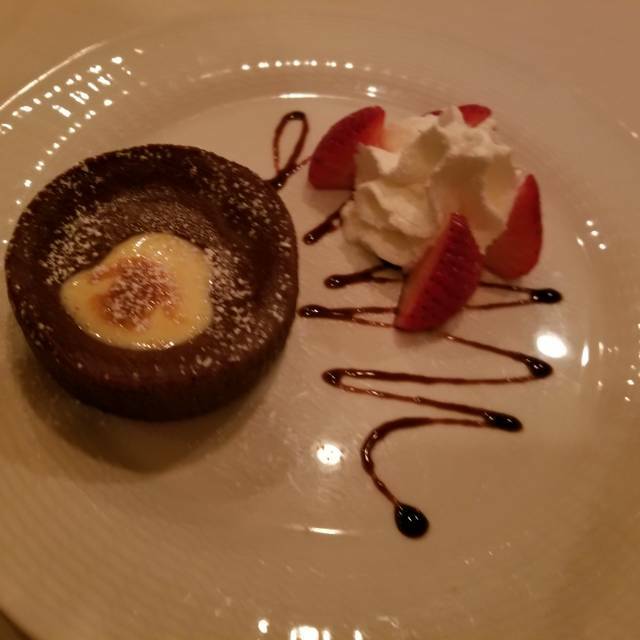 Our server was attentive and demonstrated that by bring a dessert treat after overhearing us mention that someone had a birthday this week—-very kind! The food preparation is always spot on. 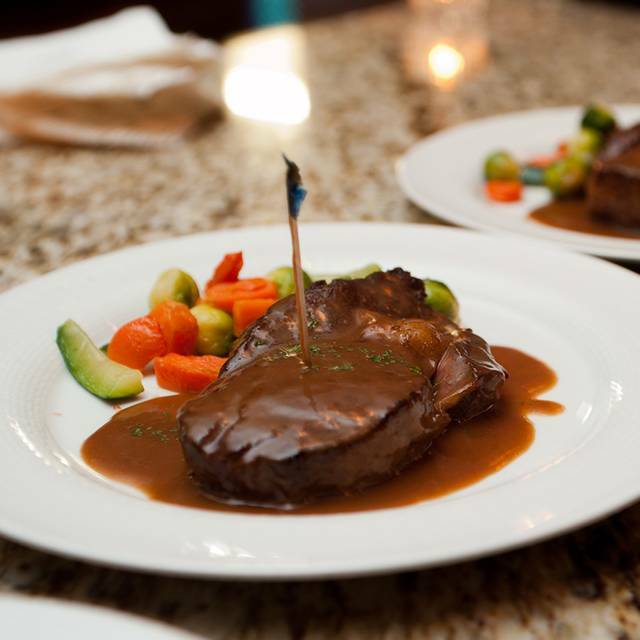 Tenderloin, seafood risotto, veal parm...all equally delicious. We will definitely be back! 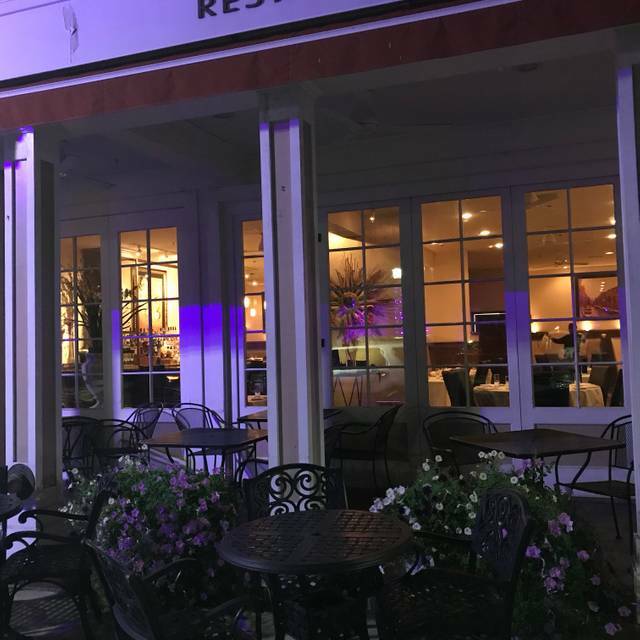 Always a wonderful place for dinner with just your spouse or every good friend or family...You can not go wrong with the wonderful service and food from this multi STARED establishment. They are the BEST Thanks for being with us !!! Exceptional, as always! Our very favorite restaurant in all of Talbot County! Food was excellent! Our waiter was personable and efficient. A lovely experience! The service was great, no rushing, and we enjoyed the energetic atmosphere. The carrot soup was divine and so was the calamari. The main dish, duck with risotto, was flavorful but the duck was dry despite the gravy. 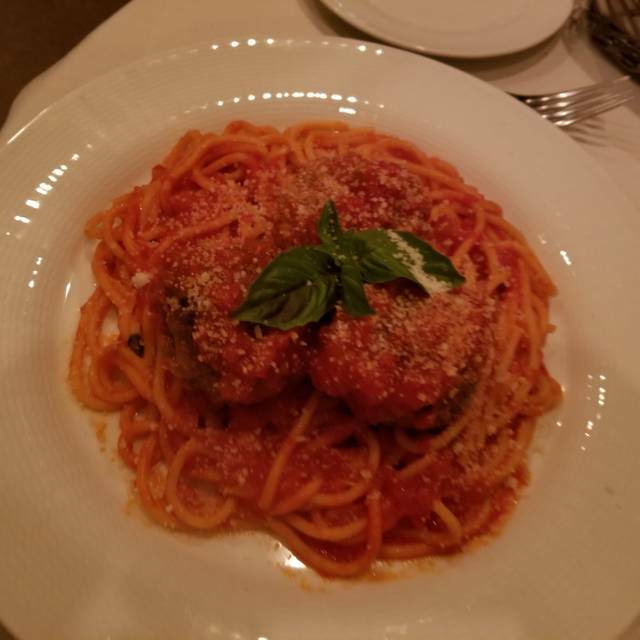 Veal parmesan was also flavorful and nicely prepared. We had another great caesar salad and green peas and shrimp risotto meal. 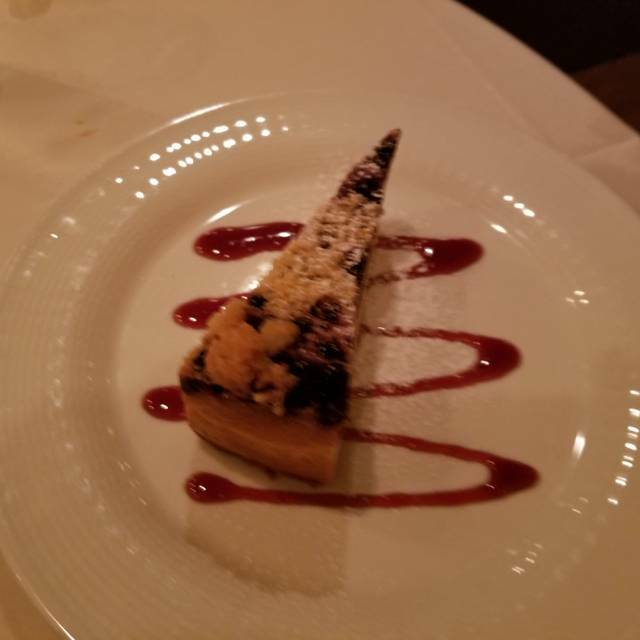 It was delicious and the service was excellent. We always appreciate that Scossa offers black napkins as an option. Drinks were good too. Had a great time but noticed the carpet and upholstery needs updating! Had to send the veal scallopini back. Overcooked. Second time, great. Fabulous lemon drop martini. Overall, fantastic meal. Everything was perfect! Food Fabulous. Service Excellent. Noise was average for a restaurant. Fantastic dining experience. Great food and great service. We have eaten there once a month for years, and it's always wonderful, without qualification. The wait staff is efficient and obliging, as well as the chef. The food is delicious. Love this restaurant, never disappoints. Great food and wonderful wine selection. 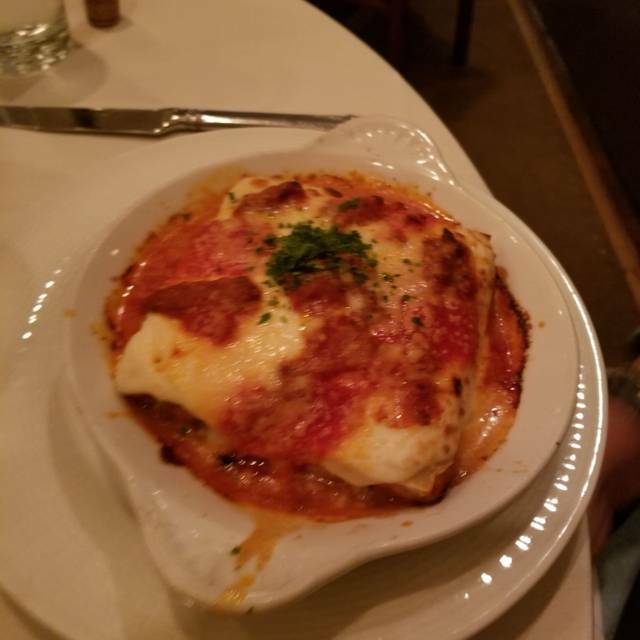 We visit Easton once a year and, while we like trying new restaurants, we always make sure we have dinner at Scossa. Good food, good service, good drinks and wine selection, and nice atmosphere. Valentines Dinner out of town. Seated promptly and service was incredibly quick. Everyone had a purpose and it was done efficiently. Food lacked flavor and wasn’t prepared properly. Risotto was watery and over cooked. Tuna tar tar wasn’t very cold and flavorless. The beef carpaccio was similar in taste. I drive from above Baltimore to enjoy this place! Great food. Great ambience. Great service. Very much enjoyed our time at Scossa. We had driven in from out of town for a special dinner having had no prior experience. The owner and staff were extremely gracious and the the food was incredible. The calamari and the spaghetti were perfect- they make all of their gluten pastas in house. We will return. The pasta and risotto are excellent. In this case, we had the gnocchi and a custom green peas and shrimp risotto. 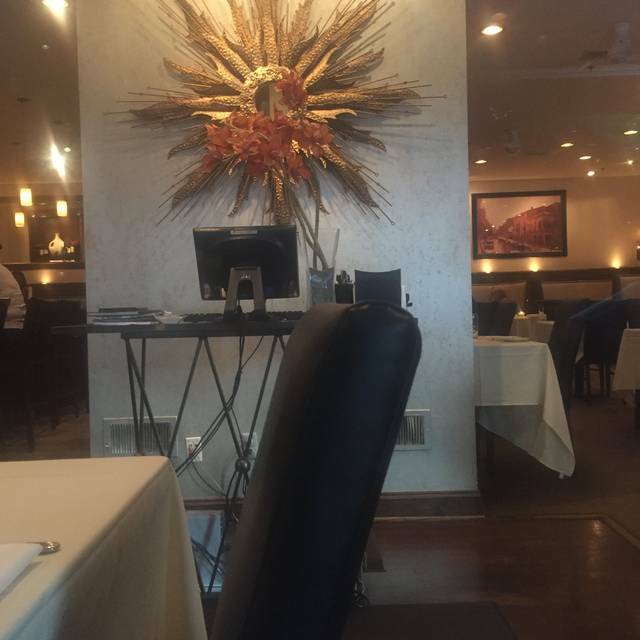 Service was good and our seating was in a quiet booth as requested. Our favorite Italian restaurant on the Eastern Shore (Delmarva). The food was excellent as well as the service. I had reserved a table for two using Open Table. We arrived early so we could have drinks at the bar. Our reservation time was for 7:00 at which time we discovered our table had been given to someone else. It was a busy Saturday night, yet we still expected to have our table in the dining room. We ended up having dinner at a high top in the bar area and still had a wonderful meal. It seemed to be less noisy where we ended up eating rather than the dining area anyway. This is one of our favorite restaurants in town, and will continue coming here. Just a little disappointed about the seating mixup. My endive salad was super bland ! It’s usually very good ! Also my steak was not very good either ! They put a pesto type sauce on top ! Not good ! It would have been better without! My son ‘s veal scallopini was very tough ! He usually finishes all of his meals and this dish he did not ! We will not be going back for a very long time !! Food was incredible. Setting very nice and very well maintained. We had a number of people recommend Scossa and it's not difficult to see why. 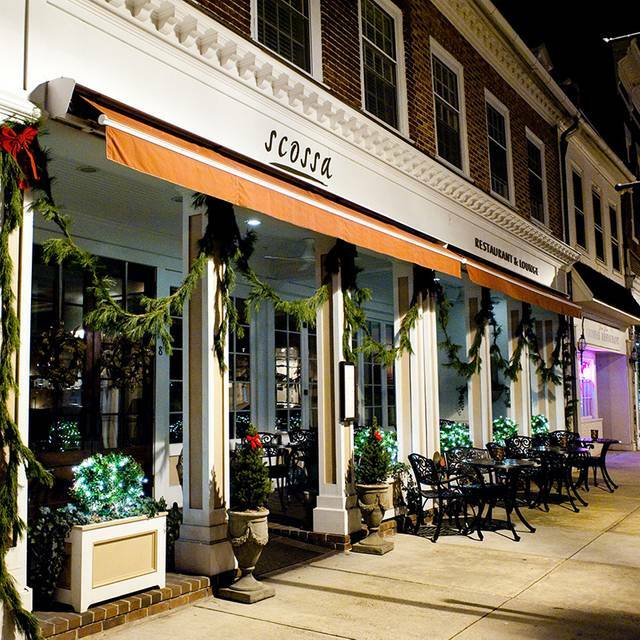 Scossa is one of our favorite restaurants in Easton. Consistently good food and service. Great place to sit at the bar and eat. They always seem to have a different "dinner special" that is outstanding. Would highly recommend. Our waiter was Quintus and he was simply excellent. He read our Open Table notes before he came over and knew that we liked Pinot Noir wine. He gave us an excellent recommendation for the food (halibut with lemon/caper sauce) and the wine and it was a delightful experience. Highly recommend this restaurant if you have never been. The Prix Fixe Menu $40 listed online, we were told by our waiter only at lunch, though it is listed on the website dinner menu. I posted on Open Table a request for a certain table. No mention of it when we checked. They could have said that it was previously reserved. Otherwise dinner was fine. The avocado endive salad was delicious. We ordered the liver which was tasty, but a little over cooked. This was after we broached the cooking temp subject with our waiter. We generally like Scossa, we are locals, just a few glitches this time. Our waitress Sara was fabulous. She was attentive and personable. The food was delicious. New Year, new flavors. The octopus carpaccio with salmon tartare was outstanding as was the veal and mushroom ragu. Cannot wait to return, special occasion not required. We loved this restaurant. From the service, to the cocktails, to the food. We will be back. All was fantastic. We started with the cheese plate, Caesar salad and the spinach and pear salad. All were wonderful. We then had salmon, veal, risotto (lobster and duck ones) and lobster with whole wheat pasta. All were delicious and everyone was satisfied. For dessert we had tiramisu, peach sorbet and apple strudel. Awesome. The wait staff treated us very well and we felt welcomed. My husband and I are in our 20's and often the youngest couple at fancy restaurants. We are often get judged by the staff. Our waiter was great and made us feel welcome and as if we belonged. Cozy atmosphere and delicious food. Cannot go wrong here!